Think of it this way: Hearing Swordfishtrombones is akin to watching a film with your ears. Gone are the days of clever sets of lyrics over some basic guitar or piano chords. Gone are the days of creating an album with a four- or five-piece band. On Swordfishtrombones (and everything thereafter), Tom strives to create a detailed scene with each song. He'll alter his vocal delivery, scatter noises throughout, create percussion sounds from virtually anything, bring in a brass band for one song and a junkyard percussion gang for the next...whatever it takes. But it never sounds overly chaotic. This is wheelhouse Waits, and although it was a new direction, those who had faith in Tom's choices would be rewarded repeatedly over the next three decades. Most attribute Tom's approach to his then-new bride, Kathleen Brennan. 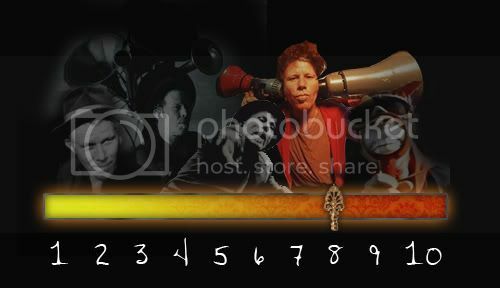 She's a writer and artist who's been a major part of Waits' music since their 1980 marriage. She influenced him to take risks and adopt a more experimental approach, and has collaborated on most of his music since then. This might have a distinct "Yoko Ono" ring to it, and there are Waits fans who think meeting Brennan was the worst thing to happen to his music. Please don't count yourself among them. Songs to Know: Off the bat, you'll realize this is a different kind of record. We hear a skeletal combination of marimbas, a single tooting horn, a jagged guitar line, and Tom spewing lyrics in a cartoonish bark. "Underground" sets the tone for the album; not musically, but thematically. "There's a world going on underground", he howls. And indeed, most of his songs are about fringe characters, living out of the spotlight, in the seedy underbelly of society. These songs are experiences, each as quirky and untethered as the next. Each track on Swordfishtrombones deserves a namecheck, but you get the idea. As hokey as it sounds, this is art that transcends the music itself. It can be an immersive, cinematic experience if you allow it. 8: Even dissenters would have to agree that Waits sounds more comfortable in his skin than ever. He's uninhibited, ditching imitation and hacking his way through a nettled forest rather than treading the rutted path. 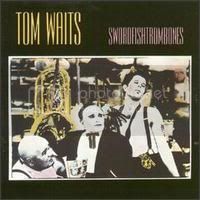 Swordfishtrombones isn't for beginners, but there's a reason it's considered a major achievement of not only Tom's career, but of musicmaking in general. Also check out: Tom's next album, Rain Dogs, still stands as my favorite of his albums. I won't profile it because I've previously done a write-up (back in the days of Myspace blogs!) I'll go find and post it as a supplement to this feature. Up next, we'll cover the third leg of the Frank trilogy, Franks Wild Years. *Incidentally, Frank is the central character of the trilogy of records--including Swordfishtrombones, 1985's Rain Dogs, and 1987's Frank Wild Years. The namesake is thought to be Waits' father. Great observations. Listening to this record for the first time was really an experience that changed the way I listen to music forever.